This farm has been in the same family since the 1600’s. The great barn is open all year round. 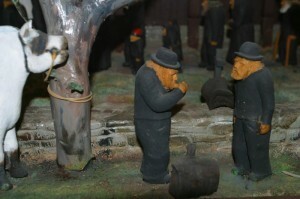 Here, Ryfylke Museum has a small exhibition of pictures and history. 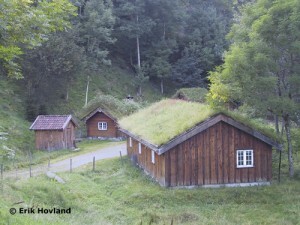 A path takes you through unique landscape to Kvednafossen where there are corn dryers, grinder, workshop and sawmill: all powered by hydropower. It’s a collection of over 100 wooden sculptures made by Ola Fagerheim. The collection From Cradle to Grave shows the working life, weekends and holy days in a small western village around the year 1900. One can also see this in the foyer in Saudahallen (Sauda Hall). are situated in Saudasjøen, by Rødstjernet pond and the golf course. 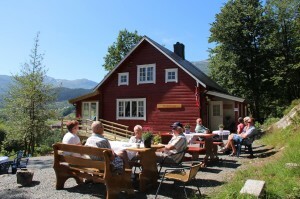 Tinghaug, the home of artist Samuel Tveit, has been renovated and is now used as a café. The café is open sundays 12-4 pm from May-October. Homemade cakes, waffles, coffee and more. Relax with a bite to eat and a cup of coffee, indoors or outdoors, Also enjoy the exhibitions by local artists. 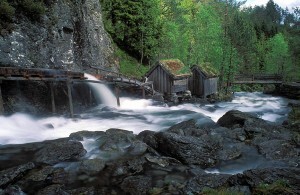 This is a reconstructed old mill. +47 – 47 40 80 67. NB! Only for groups and by appointment. 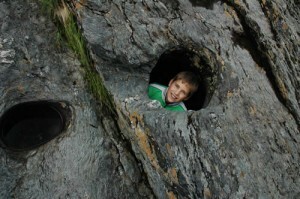 These are found in Åbødalen, which is also a great hiking area. Follow the signs from the city centre (Sauda). Here one can also take a dip in the many giant kettles which are only a few hundred metres from the parking area. 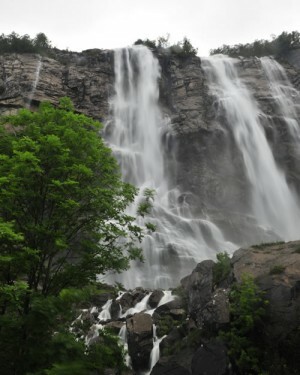 Located just a stone-throw from the city centre, is the scenic Kastfoss waterfall. To get to Kastfoss, one follows a hiking path from the city centre to Lona, then goes down along Tangen, passing the factory and further on to Lillebekk. Short distance from the city centre. Take the road towards Åbødalen. 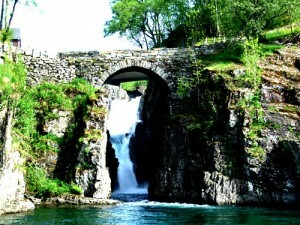 Here one finds an old stone bridge over the waterfall. This waterfall is next to Rv. 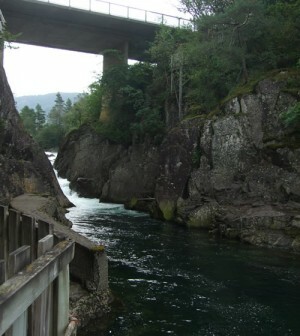 520 in Honganvik, just before coming to the tunnel (towards Sauda). A spectacular sight when the flow is big.